Hotel in Paris - Hotel Eiffel Seine Paris 3* star hotel near the Eiffel Tower. Hotel Eiffel Seine Paris 3* star near the Eiffel Tower "Paris Hotels"
Hotels in Paris - Hotel Eiffel Seine Paris - 3* star Hotel Paris near the Eiffel Tower. 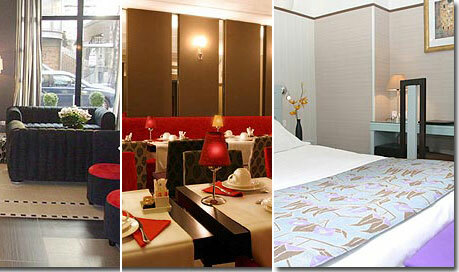 Welcome to Hotel Eiffel Seine in Paris, ideally located near the Eiffel Tower, along the Seine river. Recently completely refurbished, decorated in "Art Nouveau" style, our hotel offers the comfort and convenience you expect for your next business or leisure visit to the City of Light: Air Conditioning, Fitness room, Free WIFI and a lounge bar.